The next few months sees me starting collaborations on two new projects with the historians in the Survey of London, a group that, since the time of Victoria, have been tracing the story of London’s built environment. We’ll be working with them to inject our CASA-flavoured approaches into their studies of Whitechapel and Oxford Street. 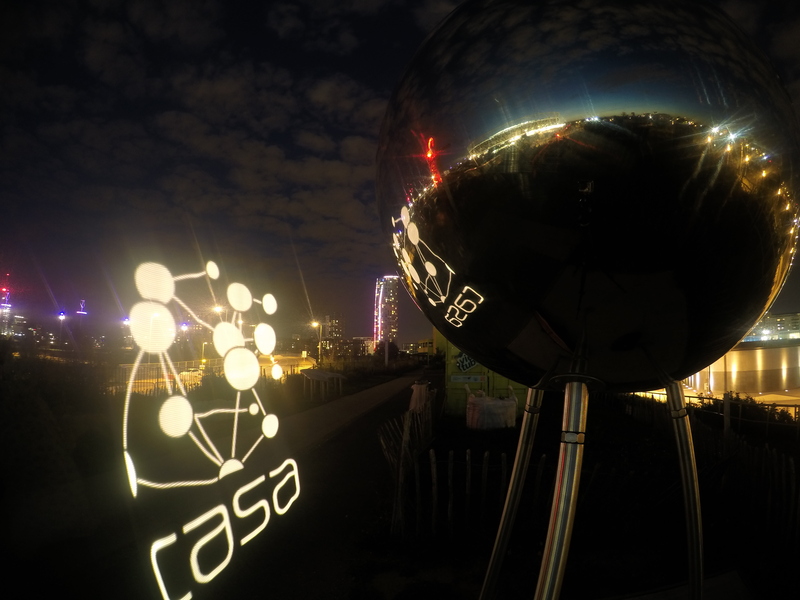 CASA took part in the Spark London Festival at the Queen Elizabeth Olympic Park over the bank holiday weekend, showcasing work as part of two days celebrating UCL’s research in science, technology and engineering. The last weeks have seen me, Steve Gray, Carina Schneider and Bianca Winter at large in Crystal Palace, East London, and Camden, painting with light and creating “temporary graffiti” – or virtual installations, if you will. The MRes course I direct, the ASAV (Advanced Spatial Analysis and Visualisation) has undergone some changes and emerged, butterfly-like, as the MRes in Spatial Data Science and Visualisation. Ta-da! 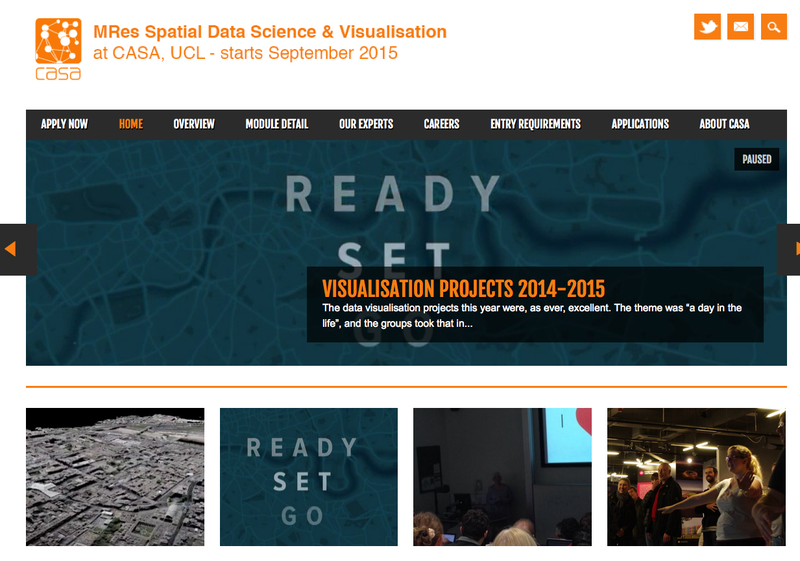 The data visualisation projects this year were, as ever, excellent. The theme was “a day in the life”, and the groups took that in different directions – I’ll focus on just one of those projects, a group who decided to explore the data behind the London Marathon to draw out its story. This review of Alex Pentland’s Social Physics: How Good Ideas Spread – the Lessons from a New Science was published in the December 2014 issue of Physics World – which can be accessed here if you sign up for free! Alex “Sandy” Pentland is a computer scientist with an impressive academic record and an even more impressive history of translating academic outputs into business and consultancy. To say he has entrepreneurial flair would seem to be an understatement; his previous book was a bestseller, and his career is sprinkled liberally with consultancies and spin-outs from his research group. His career defies easy categorization, but he calls the work that he does on network analysis and computational social science “social physics”. In his latest book, Social Physics: How Good Ideas Spread – the Lessons from a New Science he outlines his vision of a discipline that has a history of infighting and intellectual land-grabbing.